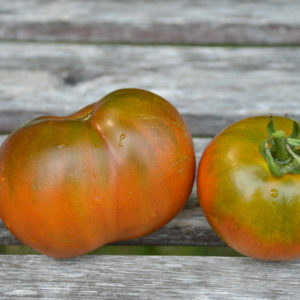 This variety originally hails from France, but was introduced to North America by a grower in Alberta, Canada in 1966, where it was then donated to Plant Gene Resources Canada in 1974. I obtained these seeds from PGRC several years ago and am pleased to be making them available for the first time this year. 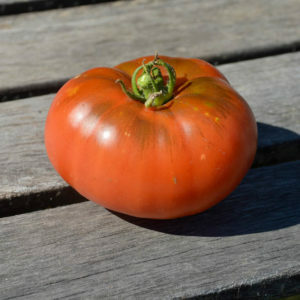 This plant boasts excellent production, and was a very reliable producer throughout the year for me. 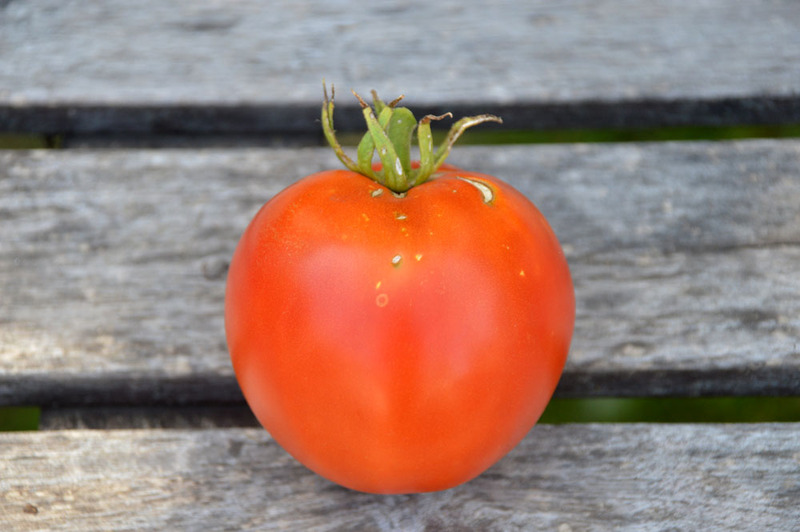 The fruit are perfectly smooth round, red fruit, about 150 – 200 grams each. 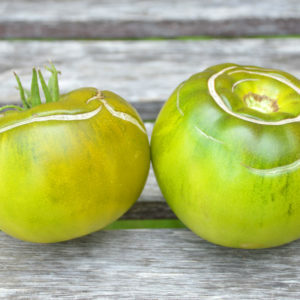 Blemish free, would make a really great market tomato for farmers and market growers. It has a very nice tomato flavour that is slightly tart. 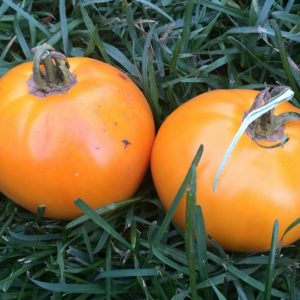 We ate these fruit primarily fresh, and they make awesome burger and sandwich slicers. Large plants, they require good staking and room to spread out. Indeterminate, regular leaf. 80-85 days from transplant. Approximately 25 seeds per packet.